Taking account of developments such as Facebook and the iPhone, this title charts the history of digital culture, as marked by responses to digital technology in art, music, design, film, literature and other areas. It is suitable for those concerned about the ever-changing future of our Digital Age. From our bank accounts to supermarket checkouts to the movies we watch, strings of ones and zeroes suffuse our world. 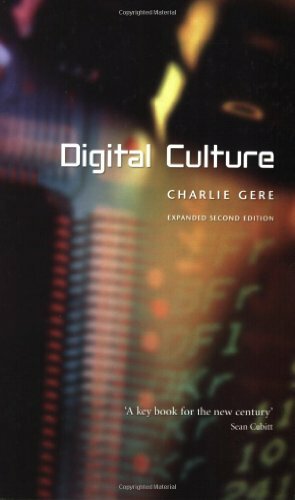 Digital technology has defined modern society in numerous ways, and the vibrant digital culture that has now resulted is the subject of Charlie Gere's engaging volume. In this revised and expanded second edition, taking account of new developments such as Facebook and the iPhone, Charlie Gere charts in detail the history of digital culture, as marked by responses to digital technology in art, music, design, film, literature and other areas. After tracing the historical development of digital culture, Gere argues that it is actually neither radically new nor technologically driven: digital culture has its roots in the eighteenth century and the digital mediascape we swim in today was originally inspired by informational needs arising from industrial capitalism, contemporary warfare and counter-cultural experimentation, among other social changes. A timely and cutting-edge investigation of our contemporary social infrastructures, "Digital Culture" is essential reading for all those concerned about the ever-changing future of our Digital Age.